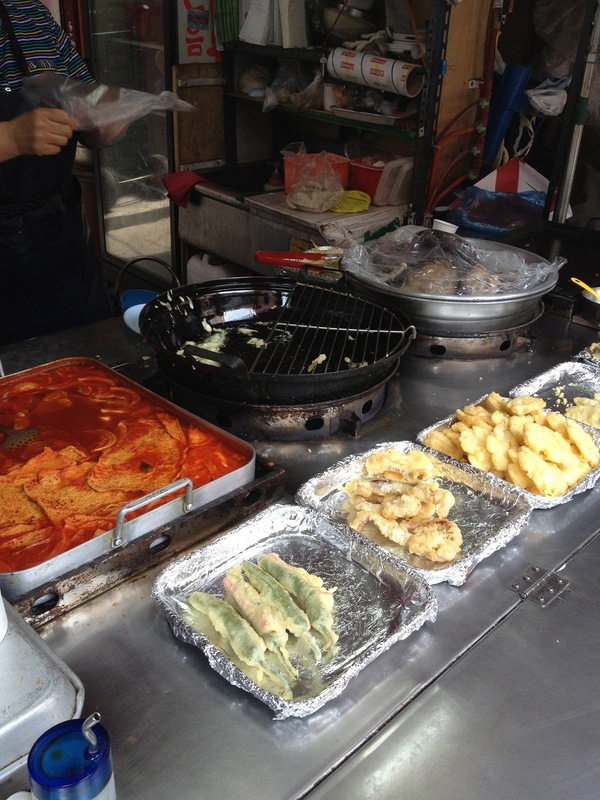 However, on my layover I managed to witness some traditional street food vendors cooking up tasty inexpensive fare. 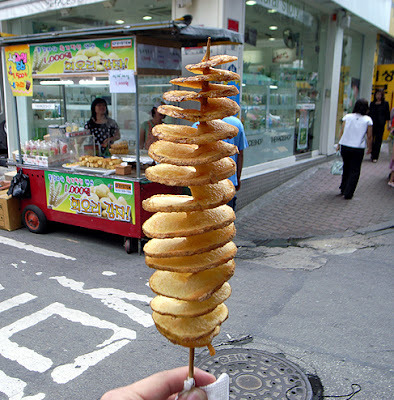 Dumplings, spicy rice cakes, kim bap, fish cakes on a stick, deep-fried vegetable dough with bacon, tempura, sesame candy bars, and beef patties studded with whole garlic cloves. 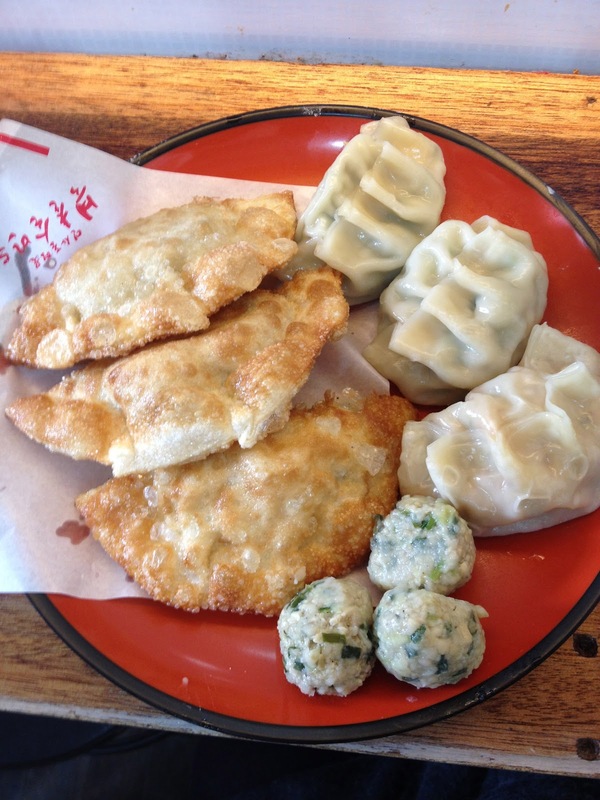 My first choice was the dumplings. They were already prepared, then steamed in front of me. One kind was fried and spicy. The others were mild with vegetables. One special dumpling contained a wiry black hair. I ate around it put that one aside because I’m a classy lady. At another stand I watched as a man stirred sesame seeds into a giant wok of boiling caramelized sugar. The contents were rolled out onto a cooking sheet and cut into pieces. Once it cooled down it was a sweet, chewy snack. I bought a bag that was made with sesame, black sesame, and pumpkin seeds. Before dinner, I saw a vendor selling some kind of fried deliciousness on a stick. This was my calling. 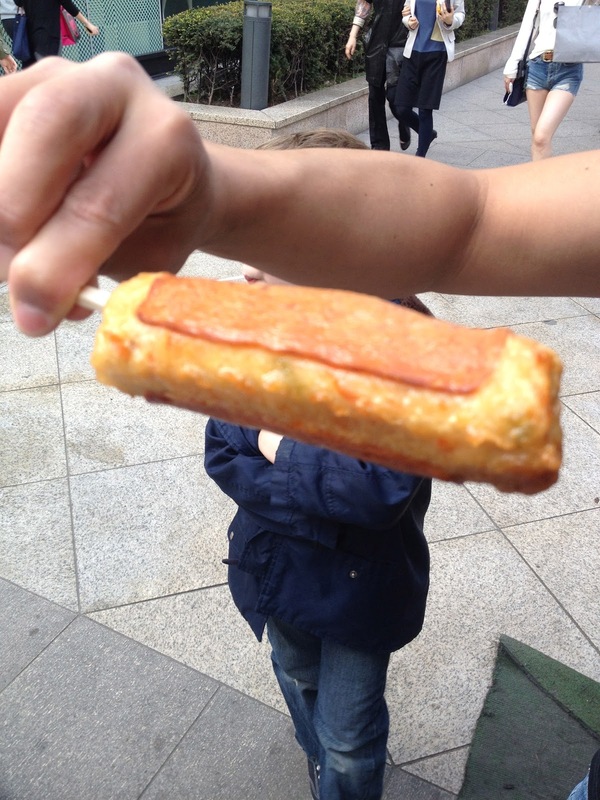 It was some kind of vegetable dough deep fried with a strip of bacon on it. It was so greasy I felt oil seeping from the sides when I bit it. It was a bit much for me, so I was content after about two bites. Overall, I am very happy with my street food options in Seoul. 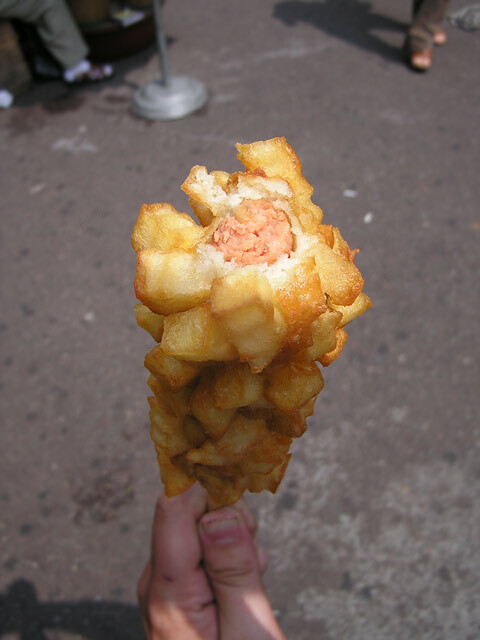 I am determined to go back for some spaghetti cones and fry-crusted corn dogs in the future. It's good to have foodie goals!